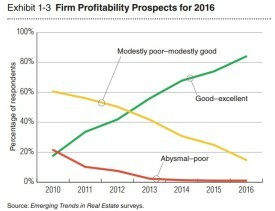 Over the past 5 years, an increasing percentage of respondents to the PwC & ULI surveys have given a “Good - Excellent” reply when asked about their next-year Profitability Prospects. 2016 has seen the most optimistic respondents yet. There are numerous risky and unusual real estate endeavors that investors will gamble on. It could be through family or friends; or perhaps something they discovered online Those that tend to stay more straight-laced, however, will usually follow the latest trends that have proved their worth. Here are the top ten for 2016. What exactly is an 18-Hour City? There has been a certain confidence developing within the Real Estate Industry, in regards to the positive and probable investment returns in the so-called "18-hour" markets. This confidence among investors is quite apparent in the 2016 top ten rankings: other than REI giants San Francisco and Los Angeles, the balance of the markets are 18-hour gateway cities. Considering the fact that the cost of living and housing prices have risen in the core gateway markets, it is evident that investors are beginning to see the potential in suburban opportunities. 84% of all jobs, within the top 40 U.S. metro areas, are outside of the core city. This then provides us with an understanding of investor optimism for the suburban future. The office district has also been strengthening from the growing employment numbers and a re-imagining of how employees can escalate their efficiency through work environments that are more open which promote collaboration. A portion of respondents who were surveyed say they view the redesign as a way to alter the work style itself, while others view it as a way to appeal to and retain desired talent, for others still, it’s both. Demographic and economic factors influence the housing market as it deals with supplying the kind of housing demanded by the peak of the baby boom generation, as well as millennials, a population forced into making an urban or suburban decision, and finding out how to provide affordable housing to support a spirited workforce. Facilitating options for improved housing for everyone is changing from “nice to do” to “must do”. This will now be shaping the housing trends in the near future. For people 34 years old or younger, miles traveled by car are down 23 percent (United States Department of Transportation, Federal Highway Administration), while the percentage of high school seniors with driver’s licenses declined from 85% to 73% between 1996 and 2010, according to the American Automobile Association. The trend of urbanization as well as the preferences of the millenial generation have begun to suggest that existing parking represents a poor use of land. As a result, in both 24-hour and 18-hour cities, things are changing. Because of widespread urban population growth, cities are now looking to desperately prioritize maintenance and repair, while also needing to tackle crucial needs such as water supply and distribution, public education, aviation, vehicle and pedestrian traffic, and rail safety. As a result of this, creative solutions are being presented such as high-frequency bus networks and green infrastructure. As this need to do more with less grows more acute, creative solutions to infrastructure needs will most likely mark the latter half of this decade and beyond. Now there are plenty of cities in which neighborhood land is dirt cheap (pun intended) or older buildings are ignored and left to rot, and where median incomes are low yet the need for fresh high-quality food is high. The new vision that holds urban land as the one of the most precious and flexible of available resources, is a big trend. Just as the re-imagining of the suburbs is a surfacing story for the decade ahead, so is the innovative adaptation of inner-city real estate uses. “Small can be powerful.” This sentiment can be seen with the evolutionary trends in development, equity investment, and lending. Developers can find it burdensome to secure sufficient funding unless they have scale, but this fits the quality expectations of conservative lenders. That requires finding niche lenders and investors that are willing to finance smaller projects; and small developers with their lenders may be discovering the most innovative parts of the business. Some firms will probably find themselves in the middle and will need to choose which side they want to be on, small or large. 9. Funding 101: Where Do We Put It? New financing will be invested in the following: additional markets (funding looks as though it will flow more freely in 18-hour cities), alternative assets (what constitutes real estate will continue to expand), old is new again (older space is now a hot item and it’s making the market consider a wider range of potential investments), and alternative property types (medical office and senior housing may see a benefit from the change in demographics, along with data centers and lab space, that may be in demand due to technical changes). The real estate industry is moving toward more intensive active management. Hacking issues, and the risk management therein, is of critical concern. Therefore, attention to cyber-security will penetrate deep into the real estate business. Attention placed on decision-making by individuals is in high demand. Finally, one of the most important features of the PwC & ULI report, is the list of the Top Five Real Estate Markets For 2016, according to the 1,465 industry insider’s surveyed. These areas each provide their own unique opportunity for a solid investment return for those willing to use these to their advantage. 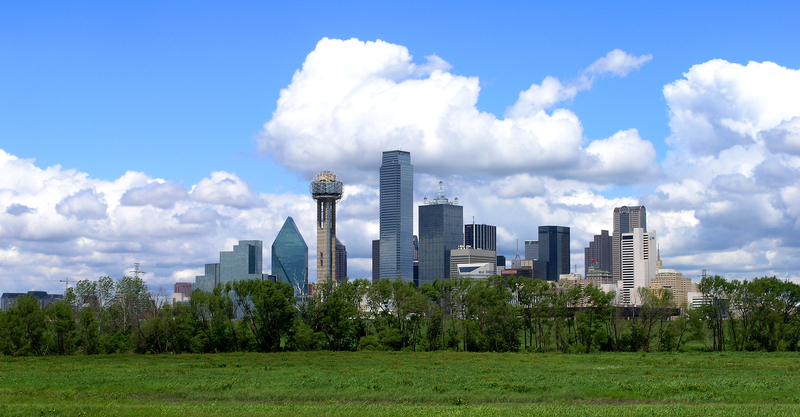 The DFW metro area has seen one of the strongest employment growths in the country. This is primarily due to a business-friendly local government, affordable cost of living, and strong presences by both large corporate headquarters as well as small businesses alike. 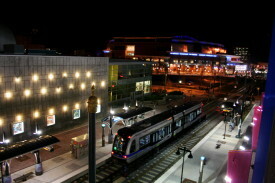 Charlotte is one of the most well-known examples of the 18-hour city. Distinguished by its downtown (or “Uptown”) revitalization, increasing popularity of local sports teams, the NASCAR museum, and continued job and population growth, survey respondents continue to project a positive real estate outlook for Charlotte in 2016. Seattle’s unique location, geography, and culture put it in a grey area somewhere between a 24-hour gateway city and a more typical 18-hour city. It’s a popular investment locale for both domestic and global investors (specifically those from the far East). It continues to maintain steady job growth from a diverse industry base, particularly influenced by the concentration of tech, advertising, media, and information companies. This particular market made the largest leap forward of any city in the top 5, largely thanks to strong growth in key sectors of the economy “without the typical concern of oversupply.” Among the Top 5, Atlanta also has the lowest costs of living and doing business, contributing to greater population and real estate market growth. This also forecasts a potentially longer-term growth cycle than the other Top 5. If Atlanta can keep up the current trends, we might be seeing it in the top 2 or 3 next year.